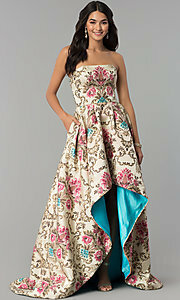 Unfortunately, the dress you are looking for (Style: CD-1822, Name: CD-1822) is no longer available. 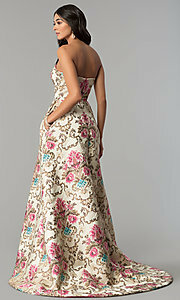 A-line high-low jacquard print strapless sleeveless prom dress. 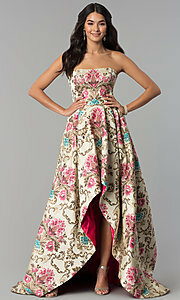 The model is 5'9" and wearing 4" heels. Front 56" Back 29", Hollow to Hem 57"